Most new custom homes in southeast Michigan have forced air, which is a great, low-cost way to keep a house nice and warm. Just make sure you’re not covering heat vents with furniture, rugs or clutter. By covering heat vents, you block the flow of heat through your home. Keep heating vents as clear as possible to make the most of your forced air heat. Sunlight is a powerful heating agent, and best of all it’s free. If you’re looking to heat your home more efficiently this winter, be sure to let in as much sunlight during the day as you can. Keep curtains open, especially during the afternoon when the sun is at its peak. The corollary to letting sunlight in during the day, is closing your curtains at night to keep the heat from escaping after the sun goes down. Curtains act as another barrier of insulation between your home and your windows. Some curtains are even made specifically to keep warm air in and cool air out. Think about shutting off certain rooms in the winter that you may not use all that often. If there is an extra bedroom or office that’s only used occasionally, you can shut the door and close the heating vent that leads to that room. By doing so, you are minimizing the area of your home that your furnace must work to heat. Alternatively, if you want a room to be nice and toasty, leave the heating vent open and close the door. The heat will be trapped in the room, making for a warm, comfortable space for you. New custom home owners won’t need to worry about this step, but if you’ve been in your home for a few years, you might consider replacing your weather stripping. Weather stripping keeps warm air in, and cold air out, by sealing up cracks and crevices where heat can escape and cold air can enter. The majority of these spaces can be found around windows and doors, which is where you need to apply or replace old weather stripping. The best way to ensure that your home will be the right temperature for you at all times is to invest in a programmable thermostat. The most basic versions will allow you to set temperatures to align with your usual weekly routine — warmer during the mornings and evenings when you’re at home, and cooler during the day and at night when you’re at work and asleep. 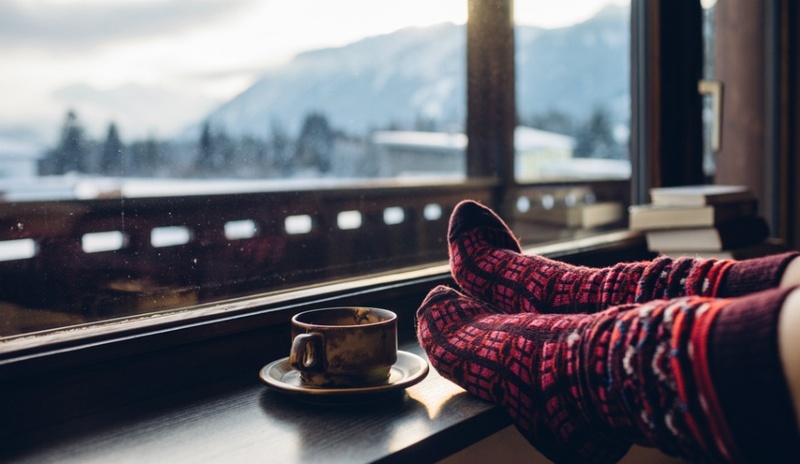 This is definitely the most efficient way to heat your home during the winter months. At the end of a cold Michigan winter day, we all want a warm, cozy house to come home to. If your house just doesn’t seem to hold in the heat, or if you wish you had a more energy efficient home, let us know. At Evergreen Homes, we build homes that suit your needs and lifestyle. If energy efficiency is important to you — we can help. Check out some of our previously built Canton, Michigan custom homes, and contact us if you’d like to discuss what your dream home could look like.